WELCOME HOME! THIS UNIT HAS BEEN TOTALLY REDONE. EVERY ROOM FRESHLY PAINTED, NEW CARPET IN BEDROOMS, LUXURY VINYL PLANK IN HALLWAYS, LIVING ROOM AND DINING ROOM. MASTERBATH HAS A NEWLY UPDATED WALK IN SHOWER, LVP, NEW VANITY AND TOILET. GUEST BATH UPDATED ALSO WITH NEW VANITY AND TOILET. KITCHEN HAS NEW FLOORING,COUNTERTOPS AND TILE BACKSPLASH. AC JUST SERVICED. 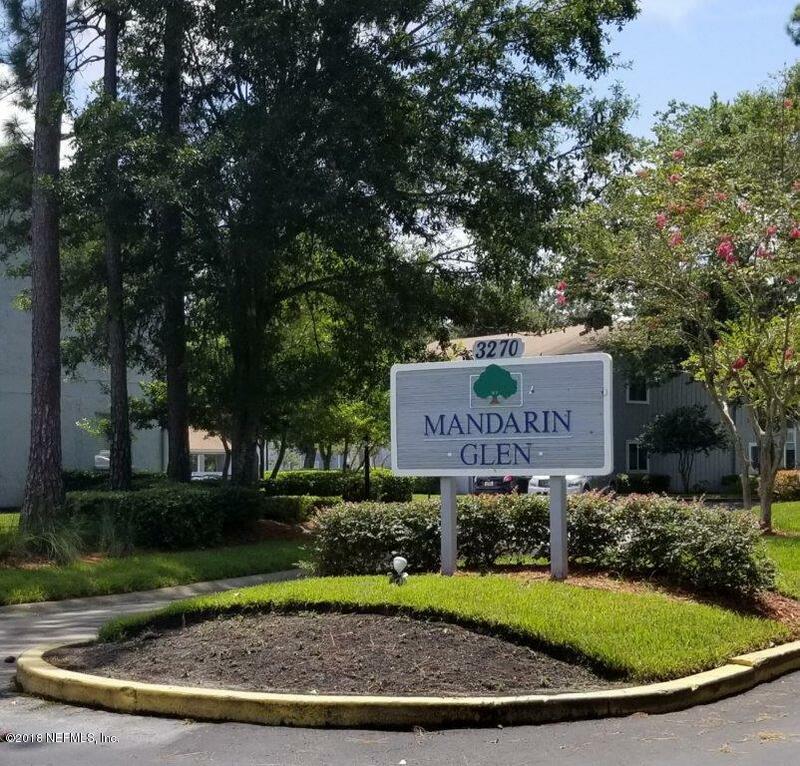 WALKING DISTANCE TO SHOPPING AND DINING.COMMUNITY POOL, BOAT STORAGE AND CABANA.THIS IS A MUST SEE FOR THE HEART OF MANDARIN. Listing courtesy of River Oak Realty. © 2019 Northeast Florida Multiple Listing Service, Inc. All rights reserved. The data relating to real estate for sale on this web site comes in part from the Internet Data Exchange (IDX) program of the Northeast Florida Multiple Listing Service, Inc. Real estate listings held by brokerage firms other than EXIT Real Estate Gallery are marked with the listing broker’s name and detailed information about such listings includes the name of the listing brokers. Data provided is deemed reliable but is not guaranteed. Data last updated 2019-04-24T14:24:38.827.